While we can't quite believe it, Winter Village is almost over. This means you have less than a week to cash in those Polar Perks points for some sweet rewards. Polar Perks points expire on March 3. Some of the prizes, like the Instax camera and the Winter Village Heavy Blanket, are sold out. But there's plenty more to get excited about. 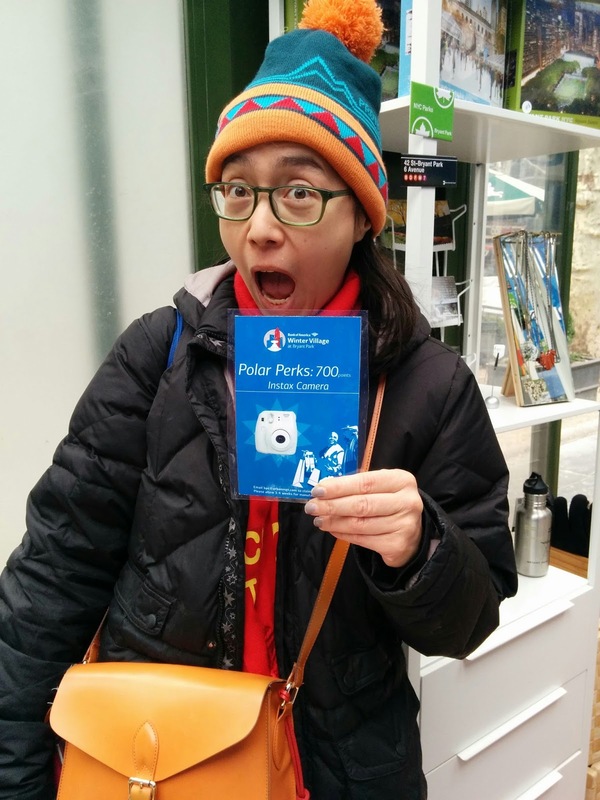 Ludmila Merka was the lucky winner of our Winter Village Instax Camera. Below are our top picks from the remaining available rewards. That cozy, wintry motif! Those practical, stainless-steel contents! This adorable set is the perfect combination of form and function. The thermos will keep hot drinks hot, and cold drinks cold. The carrying case is soft, durable, and has a strap for easy beverage toting. The set would also be a great addition to any Bryant Park Summer Film Festival picnic blanket. The Fair Isle Bottle and Mug Set is downright adorable. Carrying things around the city is a cinch - get it? - with this sturdy Nike bag by your side. A smaller zip pocket on the front allows you to sort out your keys and phone from bulkier items. It's well suited to carry your skates to and from The Rink next winter. The Winter Village Cinch Bag is sleek, cool, and versatile. The perfect desk accessory on a cold winter morning, or an air-conditioned summer afternoon. The mug is a little bigger than your standard size, meaning you can pretend you didn't mean to hog the coffee. The Winter Village Ceramic Mug is the perfect vessel for a hot cocoa. The ultimate park souvenir, our bistro chairs look smashing on a back porch, at a dining room table, or even hung up on a wall. 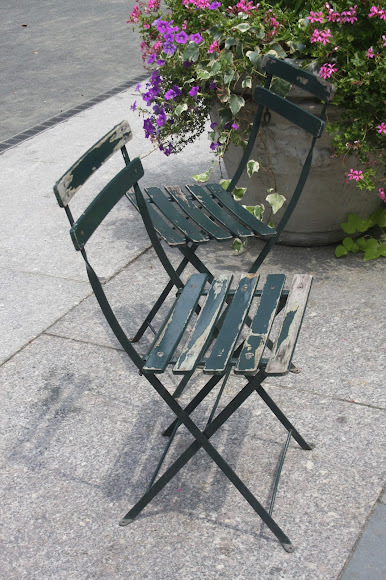 These chairs retail for $125 at the Bryant Park shop, so getting one for free is an amazing value. Limited quantities are available, so don't wait around on this one. Our vintage bistro chairs have lived long lives. Be part of their next chapter! You've been checking in and stocking up on points all winter, and now's the time to reap those rewards before your Polar Perks points expire on March 3rd. Thanks to all of our Polar Perks members! We appreciate your loyalty, and hope you had a wonderful time visiting the park during Winter Village this season.